There are certain things every guy should know about his appearance. 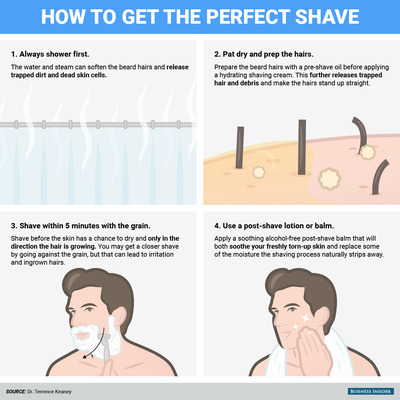 From how to matching your dress shoes to your suit, to how often you should get your haircut, to even how to shave, these tips will make every guy’s life a whole lot easier. There’s bound to be at least one thing you didn’t know. Megan Willett contributed to an earlier version of this post. 1. Roll your shirt sleeves the right way. 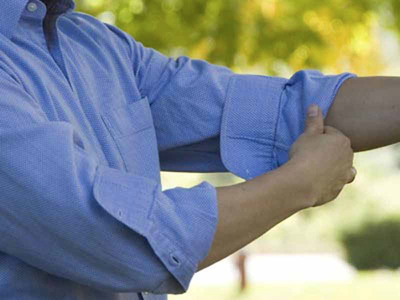 Instead of rolling the cuff slowly up your sleeve, flip the cuff back and pull it to just below your elbow. Then take the bottom (inside-out portion) and fold it up so it traps and covers the bottom cuff. Your shirt sleeves won't unroll again. 2. Pack a suit without getting it wrinkled. 3. Learn the 'sometimes, always, never' rule of jacket buttons. The top button should sometimes be buttoned (stylistic decision), the middle button should always be buttoned (it pulls the jacket together and is flattering), and the last button should never be buttoned (it messes up the tailoring and flare of the jacket). 4. 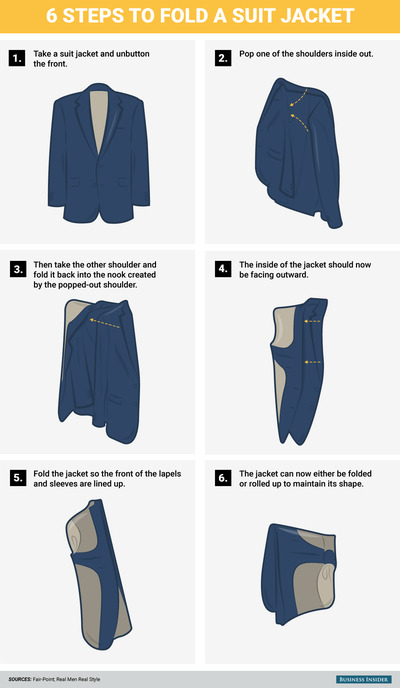 There's an extremely easy way to tell if your suit jacket fits correctly. Lean your arm against a wall while wearing your suit jacket. Your natural shoulder should hit the wall before the shoulder of the jacket does. If the jacket's shoulder hits first, the jacket does not fit you. 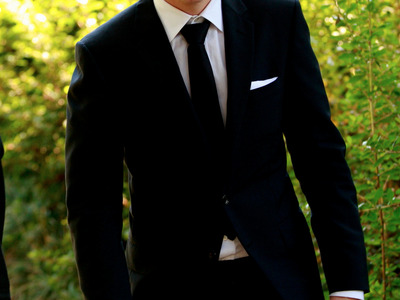 And as we all know, fit is the most important thing to consider when purchasing a suit. 5. Learn what kind of fabrics will keep you cool in the summer. Wearing the same fabrics in the summer as in the other three months is not a smart idea. Summer demands lighter and more breathable fabrics. 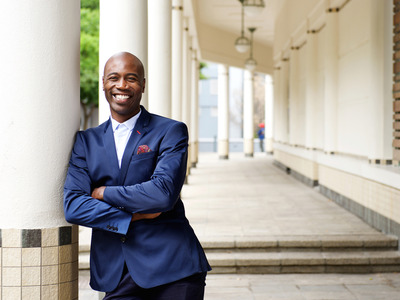 Both cotton and linen are great choices, and they can be had in both suits and shirts. If you like the look of seersucker, that can help keep you cool, too. 6. When you get dressed in the morning, start with your shoes. 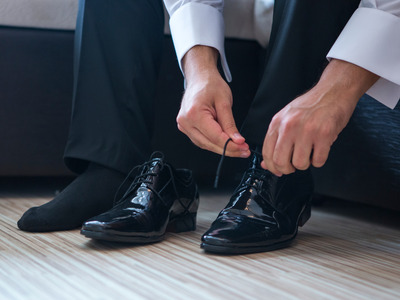 Many men see shoes as an afterthought when getting dressed in the morning, which is a mistake when attempting to dress appropriately for the day and weather. Going to an event where there will be a lot of walking? You might want to consider more comfortable sneakers. Is it going to rain today? You might want to wear something waterproof. It's this functional mindset that can help you conquer the day, no matter what it throws at you. Hope for the best, but prepare for the worst. 7. Match your dress shoes and suits. 8. When possible, always try to buy full-grain leather goods. It's the highest-quality leather money can buy, it will last forever, and it's far superior to top-grain and genuine leather. 9. Invest in quality shoe trees. 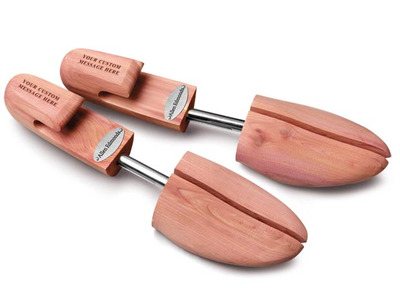 A good pair of shoe trees will maintain the shape of your nice work shoes, prevent the leather from warping or cracking, and absorb any excess moisture from your shoes so they don't change shape. 10. Fold your sweaters instead of hanging them. Even lightweight sweaters stretch out if they're on a hanger for too long. 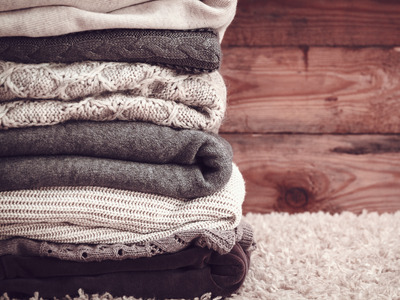 It's better to fold sweaters in your wardrobe and hang dress shirts and T-shirts instead. 11. Go sockless without causing a stink. There's an easy way to cheat that oh-so-popular sockless look. Loafer socks are undetectable, but effective at soaking up sweat so there's no funky odor. 12. 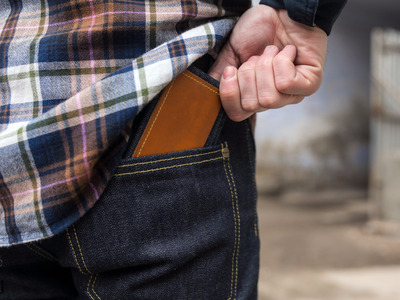 Don't keep your wallet in your back pocket. Sitting on your wallet 'creates an asymmetry or imbalance that distorts your pelvis and hips,' chiropractor Dr. Arnie Angrist told the Huffington Post. 13. 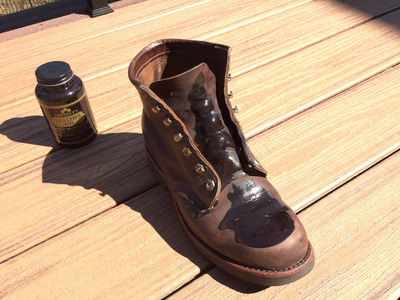 Use leather soap and oil to preserve your shoes. After a tough winter, make sure to take care of your nice shoes. It will dramatically increase their lifespan and ensure your footwear investment pays dividends for years to come. 14. Let your shoes breath between wears. 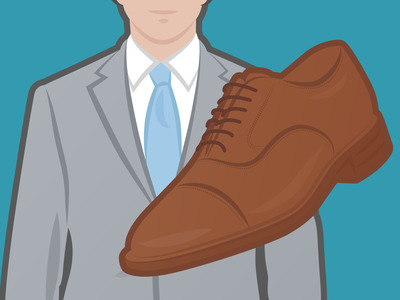 You shouldn't just slip on the same trusty pair of dress shoes day after day. Why? Because if you let them rest they will stay alive that much longer. 15. Always tell a new barber how long it's been since your last haircut. 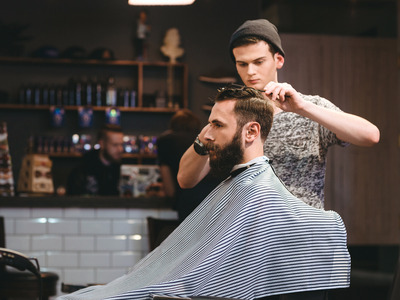 Barbers know how long it takes for hair to grow, so if you tell them how long it has been since your hair was last cut, they can imagine what your hair looked like way back when. From there, you can either tell them you want it to look the same or describe how you want it to be different from last time. 16. 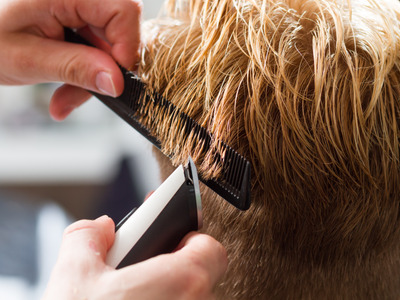 Tailor your haircut to your face shape. If you have a rounder face, get a haircut that's tighter on the sides. If you have a longer face, ask for longer hair on the sides and around your temples. 17. You should go about a month in between haircuts. If you have shorter hair, you should go sooner, but if your hair is longer, it's probably fine to wait a month and a half to two months. 18. 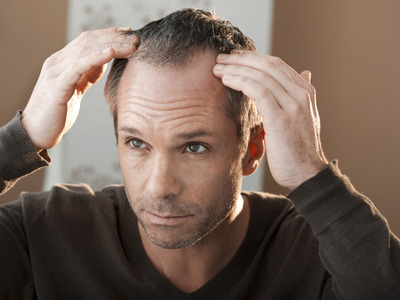 Keep your sides cropped short if you're dealing with male pattern baldness. 19. Follow four simple steps to avoid razor burn. 20. Wash your hair only three times a week. Most hair professionals agree that you should wash your hair at most every two to three days. Some barbers, like Van Capizzano of Ball and Buck in Boston, even advocate abstaining from shampoo altogether. 21. Realise the effectiveness of a washing bag. 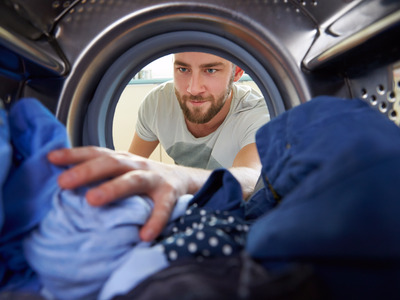 Though a washing bag can be used for underwear, for men it becomes a great tool to wash loafer socks, watch straps, and anything else that might get lost in the tumble. 22. 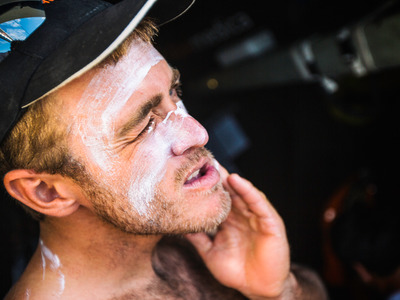 Sunscreen does more than just prevent sunburn. Broad-spectrum sunscreen protects skin from harmful UV rays, which can also cause wrinkles and skin damage. Keaney recommends using moisturizer with a sunscreen component of at least SPF 30 for the best effect, but any kind of protection is better than none. 23. Learn the correct amount of times to wash your face. Hopefully, you wash your face every day. But are you washing it enough? 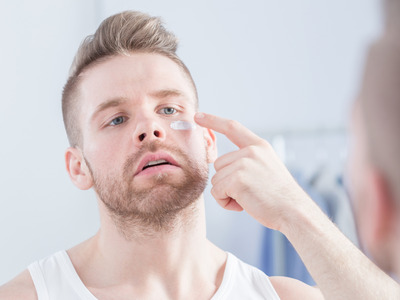 Dr. Terrence Keaney, a dermatologist working with Dove Men+Care, recommends his male patients wash their face twice a day - and only twice a day. 24. You're likely using anti-Perspirant deodorant incorrectly. The best time to put on your antiperspirant or deodorant is at night, before you go to bed. That's because it takes time for your antiperspirant to work its magic and close your armpit's sweat ducts. After this process happens, good antiperspirants and deodorants usually last 24-48 hours, so you'll have plenty of dry times ahead after application. 25. There's an easy way to hide a hangover. Eye de-puffers are specially formulated to reduce the bags underneath your eyes after a late night. A roll-on like this works perfectly as a quick morning eye pick-me-up. It works by giving your under-eye skin an injection of caffeine, constricting blood vessels and reducing the appearance of swelling, according to dermatologist Cheryl Karcher. The effects of caffeine will likely be temporary, but hopefully the bags under your eyes will be, too. 26. Avoid drying your clothing at all costs. Dryers do nothing but destroy clothing. 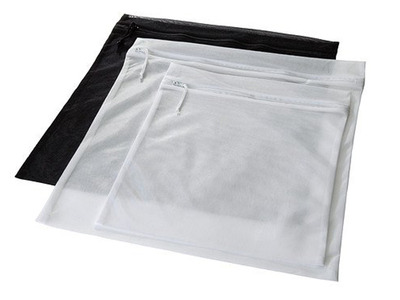 Your clothes will last longer, look nicer, and not shrink if you air-dry them instead, if possible.